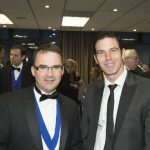 The Law Society held its Biennial Dinner on the 7th October at the Palace Hotel. 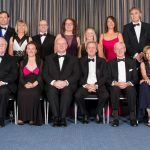 Invited guests, including his Excellency the Lieutenant Governor and the Isle of Man Judiciary, joined the Island’s advocates in an evening celebrating the work of the Society over the past two years. The President, Simon Cain, spoke eloquently of the work undertaken by Council and was able to proudly refer to his father, Deemster Cain, a past President of the Law Society. The evening was rounded off with comedy guest speaker Rob Woodward entertaining all.